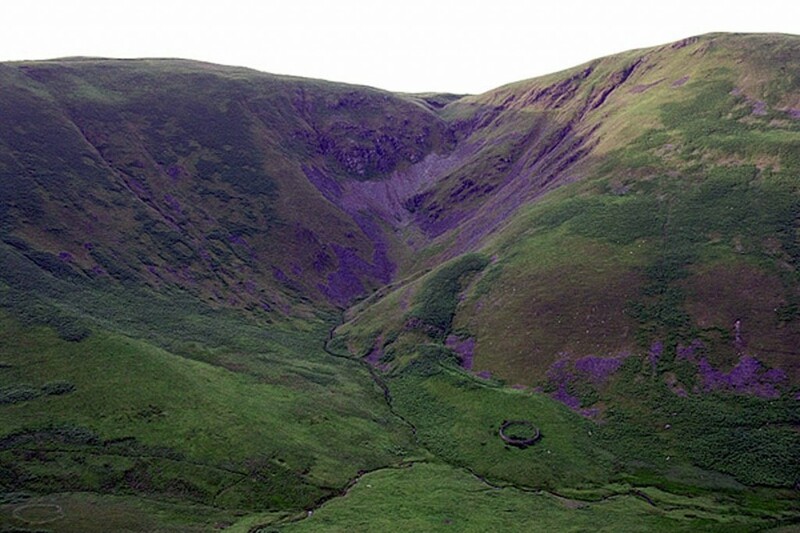 An injured walker was airlifted from the Moffat hills in a seven-hour rescue operation. A night-time search by members of Moffat Mountain Rescue Team led to the discovery of the hypothermic woman near the Devil’s Beef Tub late yesterday. The team was alerted about 6.30pm after a woman contacted police to say she had become separated from her walking companion on the hills of the Southern Uplands. A Moffat team spokesperson said: “The two ladies had been walking the Annandale Way in the hills above the Devil’s Beef Tub area near Moffat. “One of the two ladies contacted the police after having to leave her partner on the hill as she could not walk any further with a hip injury. “A search of the area by the police helicopter failed to locate the missing person as the team were gathering at Moffat mountain rescue base. The team deployed onto the hill and conducted a search in the area. The Prestwick Coastguard Sikorsky S-92 rescue helicopter flew to the scene and was able to winch the injured walker onboard and she was then flown to Dumfries and Galloway Royal Infirmary for treatment. The rescuers returned to their base about 2am on Sunday. So pleased the lady was rescued as we stopped to help her companion and have been really worried as the conditions were awful. We hope she is recovering now. ...............and all without having to call upon the services of Lochaber, Glencoe or Cairngorm teams for advice on a mountain rescue! Well done to all. Members of such teams (and those in the Lake district) are mountain enthusiasts first and foremost, but willing to help in other emergencies, eg. floods in their area. I am sure Lochaber would do the same if Fort William were to have a flood. Some of the stuff on here recently sounds against the spirit of what MRT work should be about.